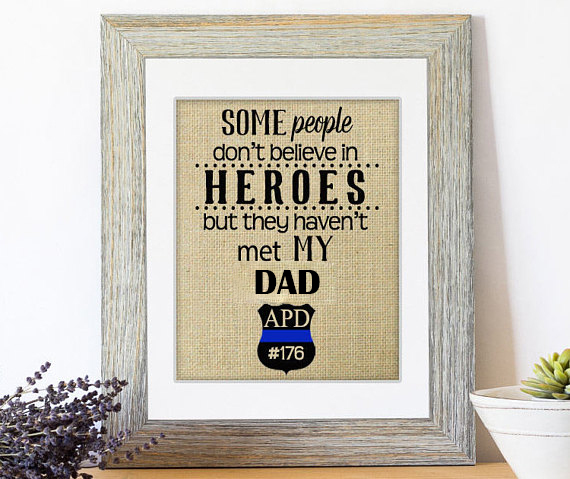 Police Families LOVE this burlap print!! 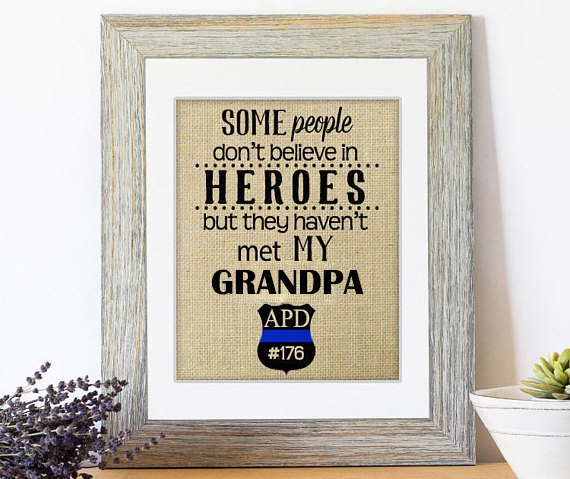 These prints are a beautiful, memorable and personalized way to show your support & love! Each piece is custom printed and handmade on demand. Please allow 4-5 days for production of your piece and 3-4 days shipping via USPS mail. 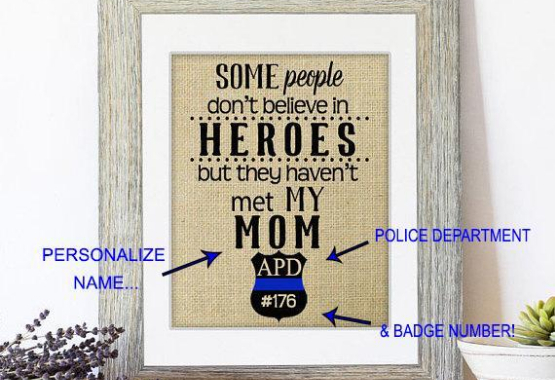 Item is for un-framed print only. 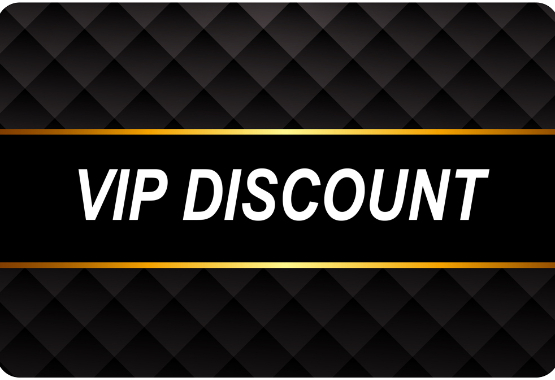 This special discount is only available to our most VIP Customers, this weekend only! Don't miss out on this epic discount ... Offer Ends Midnight 3/5 !